Cork County Cricket Club is Munster’s largest and most successful cricket club located on the Mardyke on the banks of the River Lee in the heart of Cork City. The club was founded in 1874 but cricket has been played here as far back as 1850. We cater for all age groups and abilities from the U-11 Youths through to Senior level. Cork County competes in both the Munster and Leinster league and cup competitions and has produced a number of former internationals at both under-age and senior levels. 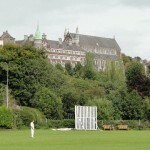 The Mardyke has always been and continues to be the hub of cricket in Munster and is only a short walk from the main gates of University College Cork and Cork City centre. Located: Next to Sundays Well Tennis Club & Fitzgeralds Park. Note: Grounds consist of Viewing Area with Canopy & Seating, Scorebox, 2No. Practice Nets & Practice Area, Cricket Pavilion with Dining Hall, Home & Away Changing Rooms with Shower & Toilet facilities, Umpires Room & Kitchen Facilities. Note: Newly Furnished Bar with wall-to-wall glazing providing extensive views of the whole cricket pitch. This room caters for approximately 100 people, with male & female toilets as well as kitchen facilities (also open for functions). 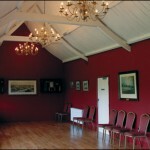 Note: The historical Long Room Pavilion offers its guests an unrivalled experience in the heart of Cork City. Whether it’s an intimate wedding, a birthday celebration, staff party or corporate event, all enquiries are welcomed. Note: The pool area is located within the loounge bar with seating on either side of the pool table with a large flat screen TV located adjacent to the table showing plenty of live cricket, football, rugby, etc. 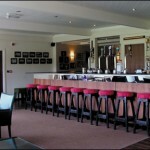 Located: Through Changing Rooms & behind Function Room. Note: 2No. Full Size Squash Courts with Viewing Balcony. Male & Female changing rooms to cater for approx. 20 people each. All changing rooms have full shower & toilet facilities. Mardyke, Cork, T12 YN61, Ireland. Copyright © 2018 Cork County Cricket Club.